Al Jolson was born Asa Yoelson on May 28, 1886 in Seredzius, a very small shtetl located just a few miles west of Kaunas, Lithuania. 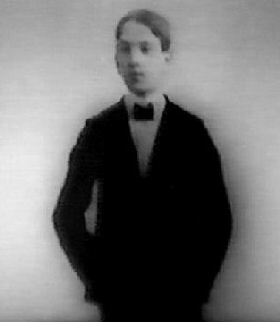 He was the fifth child of Rabbi Moshe Reuben Yoelson and his first wife, Naomi (nee Cantor) Yoelson. 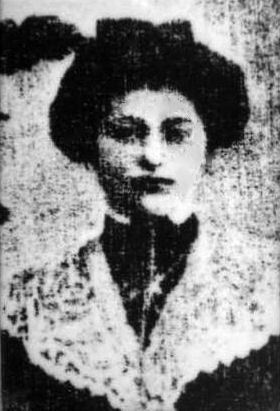 Al's older siblings were named Rose (born 1879), Etta (born 1880), Hirsch (born 1882, who was later known as Harry), and a fourth, a baby girl, who had died in infancy (cir 1884). 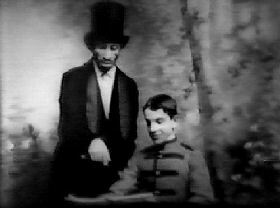 When Al was just four years old, his father left Seredzius for the United States. Like so many families, Rabbi Yoelson wanted to find a better life for himself and his family elsewhere, i.e. to find a good place to live and a proper job, so he could then send for his wife and five children. This did not happen as quickly as everyone would have liked. It took nearly four years for Rabbi Yoelson to establish himself. Early in 1894, Rabbi Yoelson sent a letter home to Seredzius. It was time for Naomi and their children to come to America. 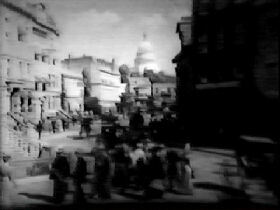 The Capitol is in the background. Rabbi Yoelson had found employment with the Talmud Torah congregation of Washington, D.C.
From Seredzius to Kaunas, the Yoelsons rode on a hay wagon. From Kaunas, they took a series of trains to a harbor from where they took a steamer to Liverpool, England. While in Liverpool, Naomi allowed her boys to wander about the city. However, little Asa wandered away from his older brother Hirsch and was lost to the family for a time. Fortunately, a policeman brought Asa back to his family an hour later. The next day, the Yoelson family boarded the S.S. Umbria, bound for the United States. In Washington, Asa and Hirsch attended public school. Their father also had them continue their religious studies, not only with their readings, but also with singing. Rabbi Yoelson used to place matchsticks in their mouths so they would learn to sing properly. Not nine months after their arrival in America, Naomi having become pregnant and suffering serious complications, passed away. This was very hard on the family, especially on eight-year old Asa, who loved his mother dearly. Asa most likely carried this deep loss with him for his entire life, never quite coming to terms with the loss of his loving mother. Asa and Hirsch, began singing for whatever money people would give them, wherever they could. Soon Asa would change his name to Al Joelson and Harry to Harry Joelson. Al had already accumulated a varied resume by the age of twelve. He had already performed with a carnival, a circus, and had been a mascot for the U.S. soldiers during the Spanish-American War. When performing with the circus, he was introduced as "Master Albert Joelson, the "champion buck-and-wing dancer of the United States," though it is uncertain exactly what his performance consisted of. In March 1901, Al joined up with the Victoria Burlesquers and formed an act with Fred Moore that was billed as "Master Joelson and Fred Moore." This was the first time that Al ever received billing. Al's brother Harry had found work as a singing waiter in a New York beer hall. In 1902, the act joined "Al Reeve's Famous Big Company." 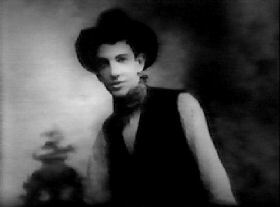 In 1903, Al's voice started to change and began to break when he sung. This spelled the end of the partnership between Al and Fred Moore. After this, Al would return home to Washington, though he wouldn't stay there very long. Brother Harry had returned home, having found some success in the business. Al then decided to team up with Harry once again, this time as a "straight man." 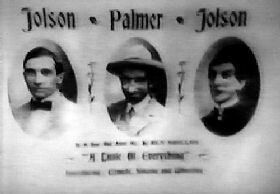 In 1904, Ren Shields (a special material and songwriter) teamed up brothers Al and Harry with Yiddish dialect comedian and singer Joe Palmer to form the team of "Joelson, Palmer and Joelson." They would perform in the New York burlesque theatre; their act was called "A Little Bit of Everything." However, when the went to have business cards printed, they found the name "Joelson" was too large for the card, so they dropped the letter "e" from their name. Now Al was "Al Jolson" for the first time. Al became uncomfortable with his part in the skit; he felt self-conscious. Another person on the bill suggested to Al that he could overcome this discomfort by wearing burnt cork on his face during his act, a la blackface. He did, and the rest, as they say, is history. In 1910, Al and Harry created an act called "The Hebrew and the Cadet." Al played a character named "Meyer," straight man to his brother's "Mr. Cohen." Mr. Cohen was supposed to be a Jew from the ghetto on the Lower East Side, and Meyer was a cadet. This burlesque-type act would be considered crude and politically offensive today, but back in 1910 it wasn't. Al and Harry first played this act in the Rockaways (New York), then played a week in Coney Island.